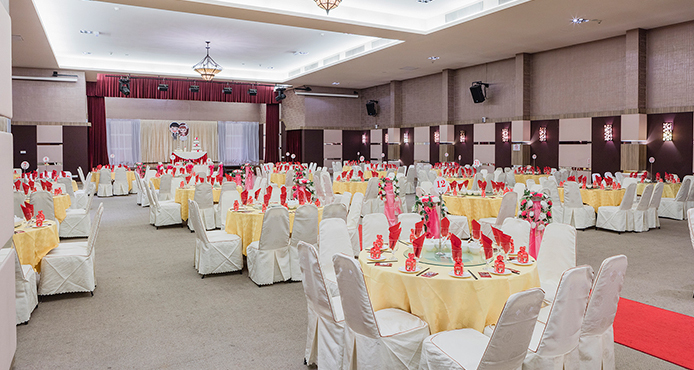 The Horizon Ballroom is an impressive state-of-the-art venue that caters to entertainment and formal events. It is a great place for a tournament’s prize-giving lunch or dinner as it can take up to 450 persons. The Ballroom is well-equipped with a grand stage, two drop-down projector screens, lighting and sound systems. The Ballroom can be partitioned into smaller halls for seminars, conferences or board meetings with capacities ranging from 30 to 300 persons. Everything about the Horizon Ballroom smells of luxury and class. Despite buffet lines that cater for up to 450 persons, the food is surprisingly delicious. Choose from a variety of packaged menus or speak to the Master Chef for a more personalized menu.